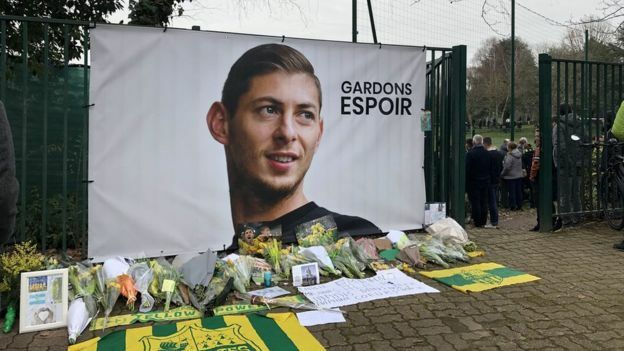 The footballing world unites as players and clubs took to social media to pay tribute to Emiliano Sala after his body was identified in the wreckage of the plane which crashed in the English Channel. The plane which was carrying the Cardiff City striker and Pilot David Ibbotson went missing on January 21 after Sala, 28, who had completed his £15m move to Cardiff bidded farewell to his teammates at Nantes and was on his way to Wales. Dorset Police confirmed late on Thursday that the striker’s body had been identified from the wreckage of the plane found on the sea bed 21 miles off the coast of Guernsey. Following the devastating news, messages of condolences have poured from the sporting world.